If you want the most charismatic character of the food world, the humble yet alluring oyster, to rock your world, step up and join the #oysterrevolution. 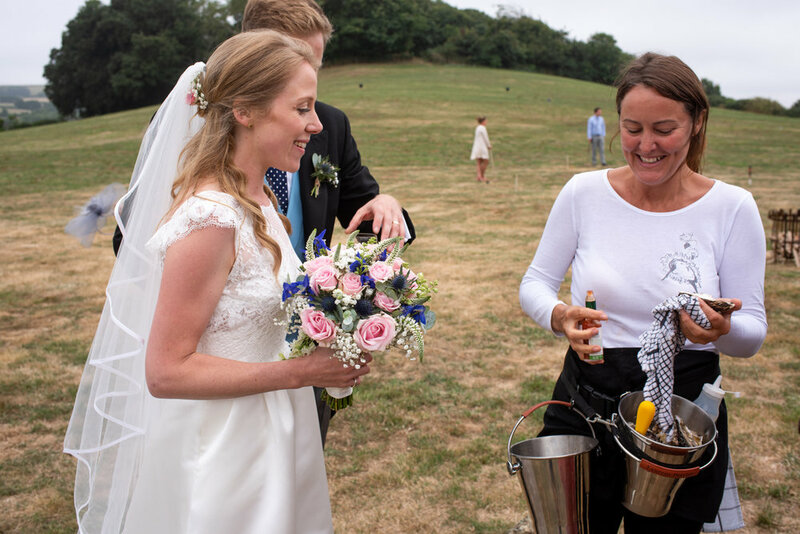 Book Katy Davidson, AKA The Oyster Lady for exclusive Ostrelier Masterclasses, Collaborations for your brand promotion, Events, Weddings, Food Festivals, Specialist Catering, Workshops and Media Engagements. Or keep an eye on our curated events such as London Oyster Week, where you can join us in a lifelong celebration of oysters. Katy has immersed herself in every type of oyster culture there is over the past three decades, her knowledge, skill, advocacy work and passion is hard matched in its breadth and longevity. Firstly, I wanted to write to say once more how brilliant last night was. I learnt so much, and had a tremendous time while doing it - not only your knowledge but the way you convey it to people is just so impressive, it’s hard for me to express. Pete was THRILLED about the goodie bag, and possibly even more so with my new shucking prowess! And then we watched your section on Sunday Brunch together. In his words, you look like you’ve been doing this gig (i.e. live telly) for years - so calm, clear and confident. I’m sure you’ve a million things to be doing this week rather than reading emails, but I really wanted you to know how impressed I am. Hope the rest of the week goes brilliantly. Oyster Anticipation at Roz’s Wedding!